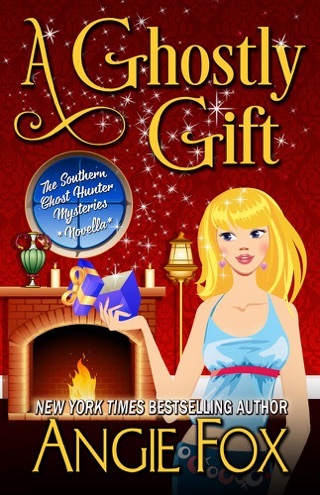 Southern girl Verity Long is about as high society as her pet skunk. Which is why she’s surprised as anyone when the new head of the Sugarland social set invites her to join the "it" girls. But this is no social call. 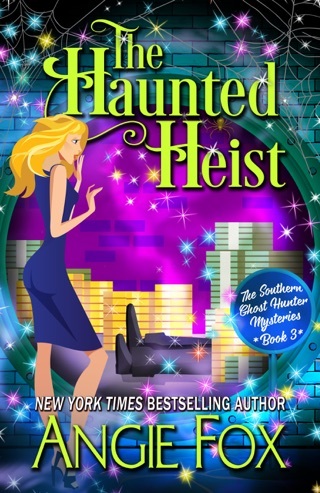 Verity’s new client needs her to go in undercover and investigate strange happenings at the group’s historic headquarters. But while spirits are whispering hints of murder, the socialites are more focused on Verity’s 1978, avocado-green Cadillac. 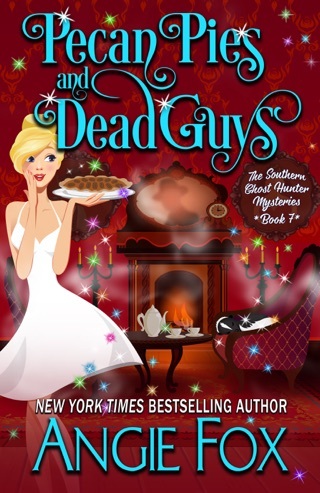 And when Verity stumbles upon a fresh body, she's going to need the long-dead citizens of Sugarland to help her solve the crime. Good thing she has the handsome deputy sheriff Ellis Wydell on hand, as well as her ghostly sidekick Frankie. The bad thing is, the ghosts are now whispering about the end of a certain ghost hunter. 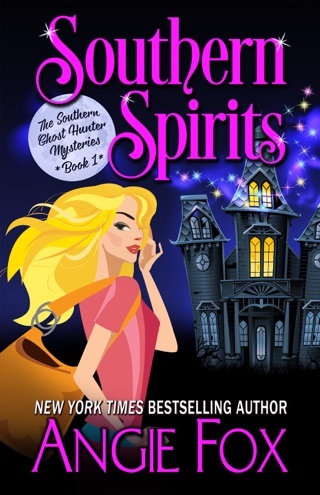 Sweet Tea and Spirits by Angie Fox is the fifth book in The Southern Ghost Hunter Mysteries. Verity Long is enjoying a quiet moment with her boyfriend, Ellis Wydell when she receives a phone call. 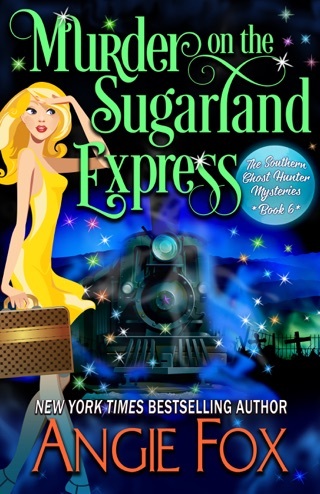 The call is from the Sugarland Heritage Society and the caller says, “I need you” and “There’s been a murder”. Ellis is then dispatched to investigate a break in at the same location. He finds the building locked up tight, but the security alarm was set off. Verity becomes the laughingstock of the town when no body was found (gossip spreads quickly in Sugarland). Verity talks Frankie into loaning her his power (after some bartering), and they set off to explore the heritage society. The heritage society building was once a Home for Wayward Widows and Orphans run by Mother Mary Cooper. Verity is greeted by Julia Harper Youngblood, the newly elected president of the Sugarland Heritage Society. She recently ousted Verity’s arch nemesis, Virginia Wydell (happy dance for Verity). It is immediately obvious that ghosts are on the premises, and they are having fun with the society’s displays. Julia hires Verity to explore the spirit activity and pays her in cash (which puts Frankie in a jovial mood). As Verity is leaving the heritage society, she gets roped into becoming a member. Frankie has gotten himself into hot water with Mick “The Angel Maker”, and he needs to go on the lam (Verity finds the perfect spot for him). Verity returns to the heritage society that night to talk to the ghosts who inhabit the house and finds Julia dead at the bottom of the stairs. While the officer on scene believes it is an accident, Verity knows she was murdered. 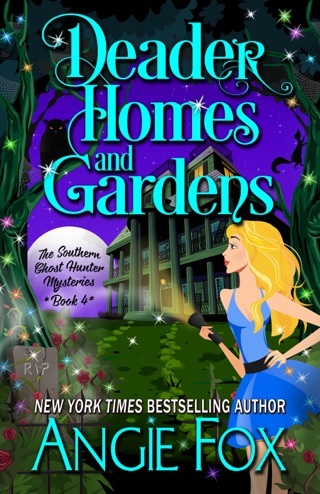 Verity wants to find Julia’s killer, and she will need a little ghostly help to accomplish it. Verity is surprised when she gets some assistance from an unexpected source. In her spare time, Verity needs to get Mick “The Angel Maker” to forgive Frankie and find out why Frankie is looking so spiffy (and acting strangely). Just another normal week for Verity in Sugarland, Tennessee. 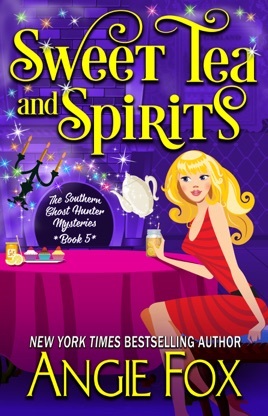 Join in on the fun by reading Sweet Tea and Spirits! Sweet Tea and Spirits is a humorous novel. You will find yourself laughing frequently at Verity and Frankie’s antics. The book is well-written and engaging. The characters are endearing and quirky (especially Frankie). I highly recommend reading the other books in the series before starting Sweet Tea and Spirits. It will help you to understand Verity’s financial situation, her relationship with Frankie, and why she became a ghost hunter. I have found each book in the series is better than the previous one. I give Sweet Tea and Spirits 5 out of 5 stars. Sweet Tea and Spirits is jam packed, but it all ties together for one hilarious and sweet story. There is an unexpected romance, ghostly horse racing (and gambling), an unexpected alliance, and a historical home with a surprising history. The mystery is more complicated than past whodunits in the series, but it is still easily solved. It is nice to see Verity’s character develop as she explores the supernatural and as her relationship with Ellis deepens. It was also nice to see change in Frankie. It was unexpected and amusing. 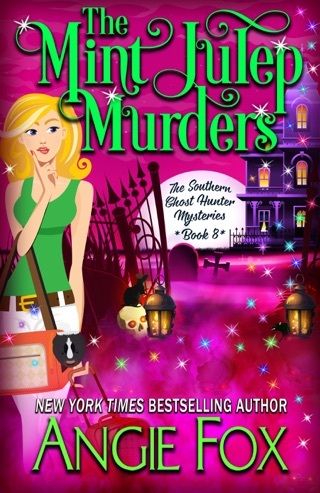 I will impatiently wait for Angie Fox’s next book in The Southern Ghost Hunter Mysteries. This is one of the best series I have ever read and I read a lot!! I plan to read every one of Angie Fox’s books I can find. They are entertaining, well written and clean. Please don’t ever change Angie. 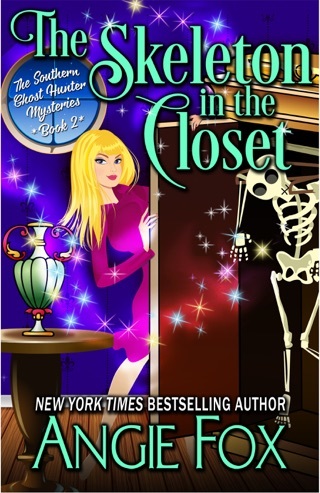 Fantastic fun, romantic, ghost mystery. Love all the books but this is my favorite!! Way to go Frankie! !